Because of our experience in the '90s, we're taking a slow and steady approach and that's kind of been the Honda way, whether you're happy with it or not. Every foray into advanced technology, whether we've been the leader or second or third, we've taken that slow and steady approach. ... It's not to say that we can't, in the future, modify the program. Technologically, the Fit EV has good numbers. For starters, how about a city range of 123 miles (this is a "preliminary estimates determined by Honda using EPA methods"). Combined, the Fit should be rated at 76 miles. 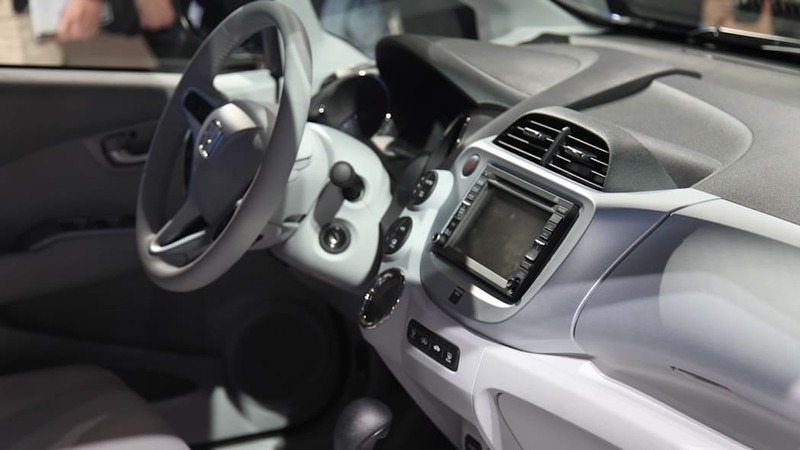 Aside from some modifications to the dash and a special bio-fabric, the Fit EV is almost identical to a standard Fit on the interior. When folded down, the rear seats don't get quite as flat as they do on the gas-powered Fit because of the 20-kWh lithium-ion battery pack. 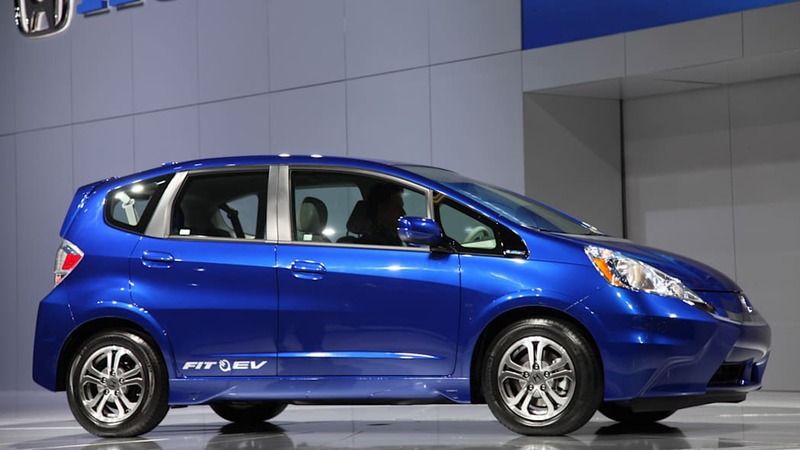 As reported before, the Fit EV's motor is a 92 kW unit that was derived from the motor in the hydrogen fuel cell-powered FCX Clarity. Technology from the CR-Z Sport Hybrid also makes the jump to the Fit EV in the case of the three-mode electric drive system. 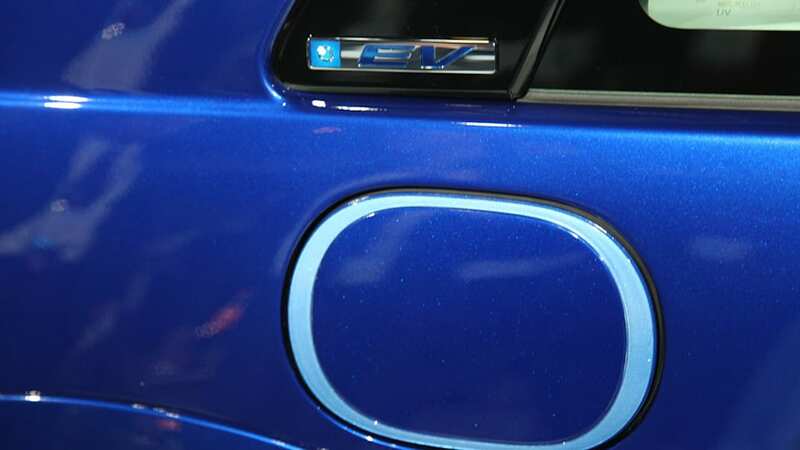 With an onboard 6.6-kW 32 amp charger, the battery can fill up in three hours on a Level 2 EVSE. What does "summer" of 2012 mean? We kept hearing that the Fit EV program is 10 months away from launch, so that would place the first deliveries in August. "Select California and Oregon markets" will be the first to get the car, followed by six areas of the East Coast in 2013. Over the three-year program, Honda plans on making 1,100 Fit EVs available here (the company is also testing the car in Japan and China). 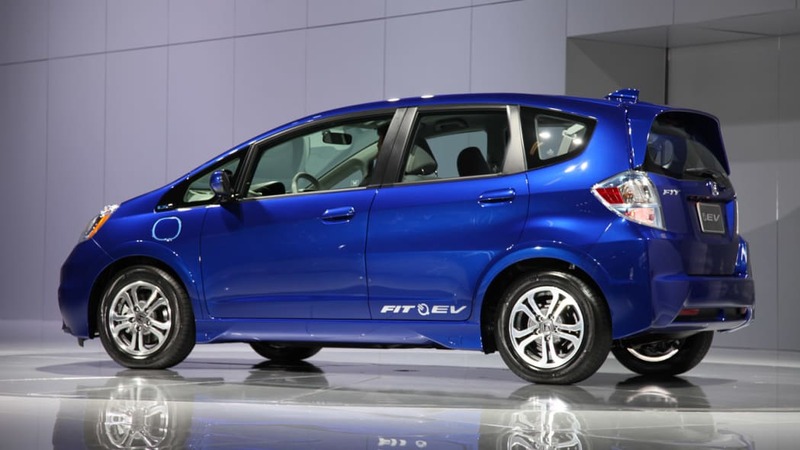 The Fit EV will only be available in one color: Reflection Blue Pearl. 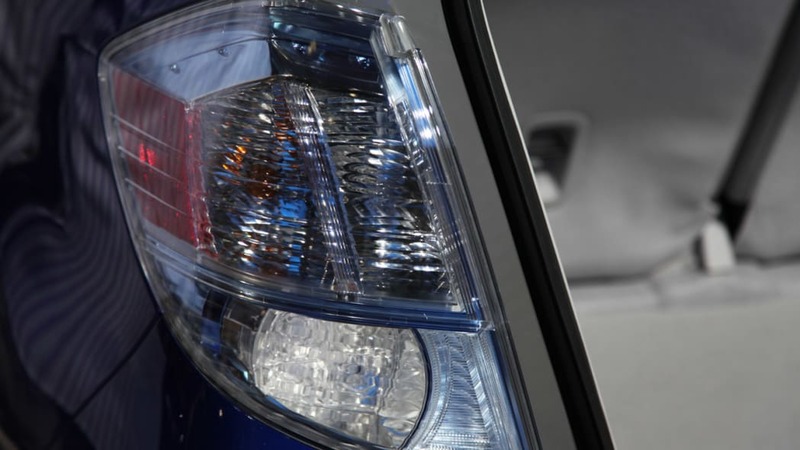 Honda has always taken a slow and steady approach when it comes to introducing new technologies. Sometimes that means taking a different path then what the rest of the industry is doing. Honda is taking a portfolio approach when it comes to alternative fueled vehicles – introducing a variety of technologies (EV, P-HEV, FCEV, Hybrid, Natural Gas and fuel-efficient ICE) and letting the customer decide which best meets their needs. Whether we are first or second to market with a new technology, Honda strives to exceed the customer ownership experience. 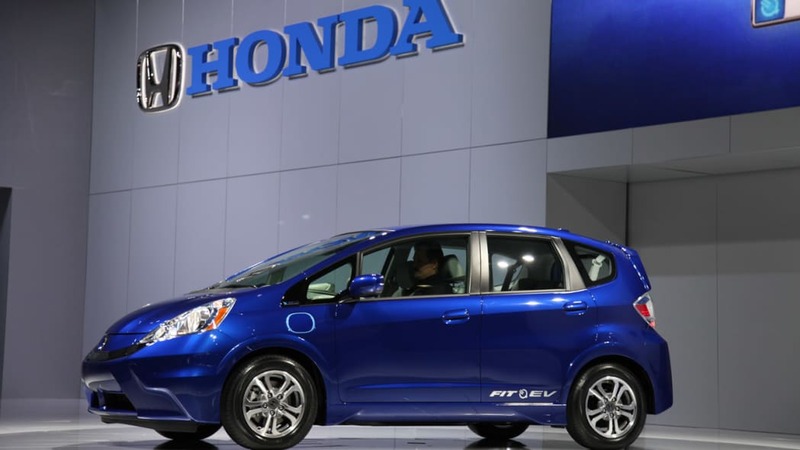 With the Fit EV, we want to make sure Honda's return to the battery electric market is matched to customer's expectations of a Honda vehicle (exceptional reliability and quality). 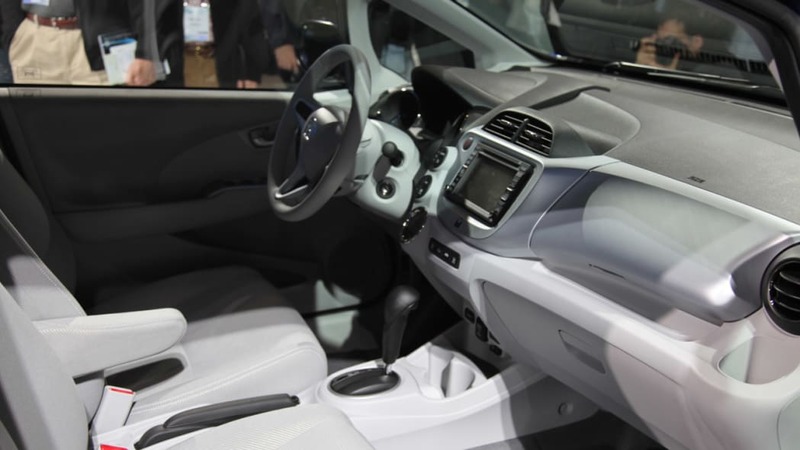 We felt leasing the Fit EV at this stage was the best way to both meet the high standards customers have come to expect from Honda and manage the customer ownership experience. With that said, Honda is a flexible company that listens to its customers. We will be carefully monitoring customer feedback and continuously evaluating the Fit EV program when it launches next summer. LOS ANGELES, Nov. 16, 2011 – Honda today unveiled the all-new 2013 Fit EV at the Los Angeles Auto Show, announcing plans to begin leasing the 123 city-mile per charge (76 mile range combined adjusted city/highway)1 battery electric commuter vehicle to its U.S. customers in the summer of 2012. 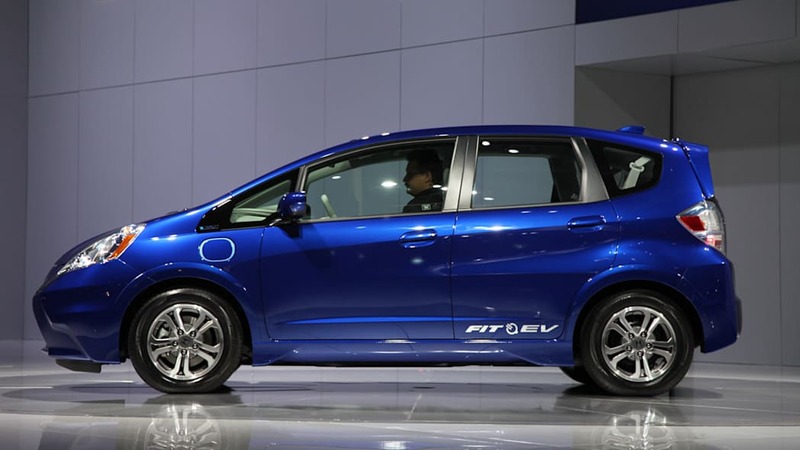 The Fit EV is based on the popular Fit hatchback and is a part of the company's diverse portfolio of alternative fuel vehicles that includes gasoline-electric hybrid, plug-in hybrid, fuel cell-electric and natural gas-powered models. 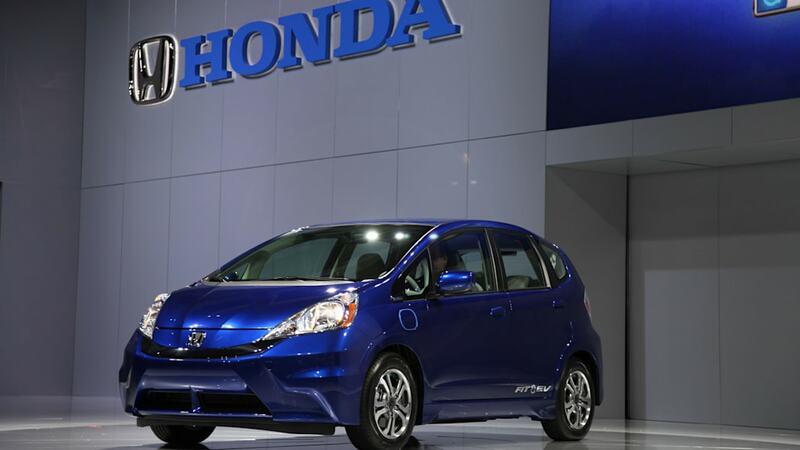 American Honda will begin leasing the Fit EV to customers in select California and Oregon markets next summer, and will expand to six East Coast markets in early 2013. 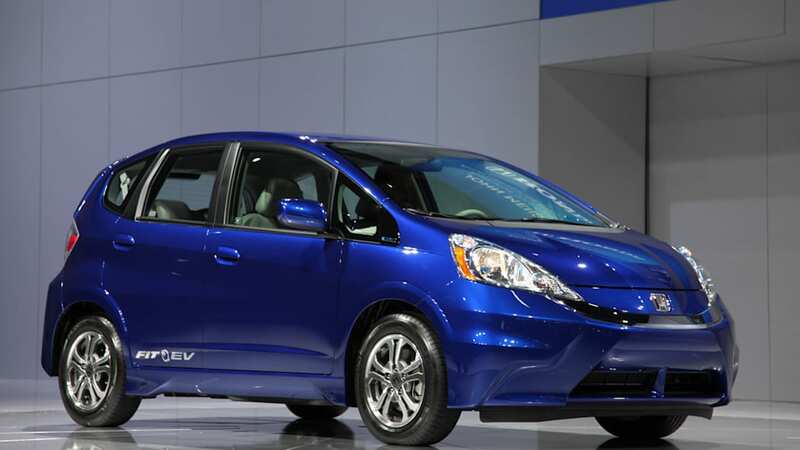 The Fit EV's Manufacturer's Suggested Retail Price2 (MSRP) is $36,625 with an estimated lease priced at $399 a month. Honda will monitor market acceptance, but expects volume at this early stage of production to be approximately 1,100 Fit EV's over the next three years. In addition to the Fit EV, Honda is a leader in the development of leading-edge technologies to improve fuel efficiency and reduce CO2 emissions. 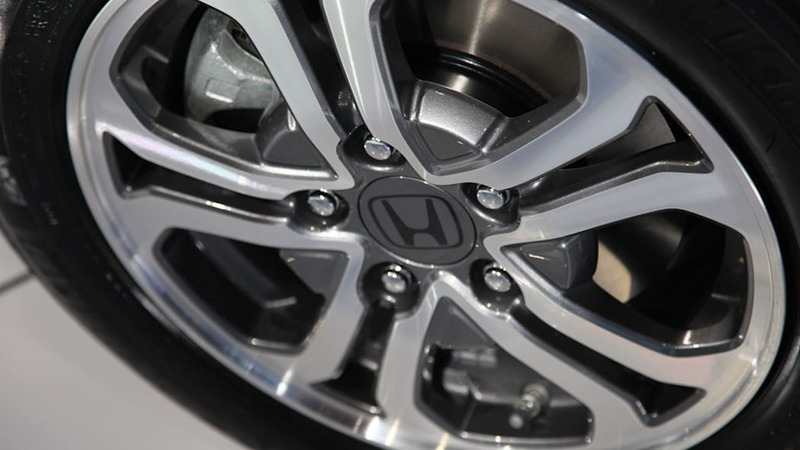 Honda has led the Union of Concerned Scientists (UCS) rankings of overall vehicle environmental performance since 2000, and a Honda vehicle has topped the list of America's greenest vehicles, from the America Council for an Energy-Efficient Economy (ACEEE), for eleven consecutive years. For more information and high resolution images of the Fit EV, please visit www.hondanews.com. 2 MSRP excluding tax, license, registration, destination charge and options. Dealer prices may vary.